There's a point before dawn at Rosehill that Winx knows she's about to strut her stuff for real. 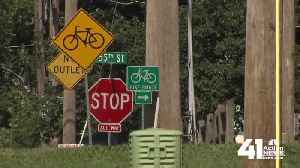 Besides the stop signs at the intersection of West 55th Street and Rosehill Road, there are several other signs letting drivers know to slow down for pedestrians and bicyclists. People who live around.. 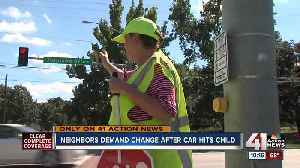 Neighbors say Shawnee intersection needs safety improvements. Winx has been cleared to run in the Queen Elizabeth Stakes but not before giving a fright at Rosehill trackwork where a sponsor's sign was smashed. James McDonald finished the day at Rosehill with a winning treble, including a group 1 double, and the week off after being suspended and fined for overuse of the whip on Ardossan as he ran third in..
New Zealand owner-breeder Don Goodwin was a proud man watching Verry Elleegant race to group 1 victory in the Vinery Stud Stakes at Rosehill on Saturday. A decision to take luck out of play and be more aggressive on Invincible Gem delivered the Emancipation Stakes at Rosehill on Saturday. Everything you need to know to find a winner on the second day of The Championships at Rosehill. All eyes are on the skies for trainer Matt Ellerton ahead of Oaks winner Aristia's tilt at the Vinery Stud Stakes at Rosehill Gardens. Brenton Avdulla thinks Golden Slipper winner Estijaab is ready to fire in the Star Kingdom Stakes at Rosehill on Saturday. Boom filly Nakeeta Jane's owner has plenty of reasons to be thankful heading into Saturday's Vinery Stakes at Rosehill. Godolphin has dominated two-year-old all season, so the 1-2-3 finish to yesterday’s Golden Slipper wasn’t a surprise at Rosehill – but the winner Kiamichi certainly was.